ALBION -- Selectmen say they're determined to keep the town's budget from rising this year, members said this week. ALBION — Selectmen say they’re determined to keep the town’s budget from rising this year, members said this week. The board will discuss budget numbers for the upcoming fiscal year when it meets tonight. Board Chairwoman Mary Lee Rounds said that selectmen have agreed, in principle, to maintain the town’s current budget, which is about $2.3 million. “We’re looking at the same budget that we had last year,” Rounds said. Selectwoman Beverly Bradstreet said the board will work to maintain the town’s share of the property tax rate of $13.70 per $1,000 in assessed value. At that rate, the tax on a home valued at $100,000 would be $1,370. However, Bradstreet said the rate is still likely to change with the budgets of the county and Fairfield-based School Administrative District 49. Bradstreet said a workshop to review individual expenses in more depth will probably be scheduled at tonight’s meeting. The board will make a formal budget recommendation that will be sent to the town’s budget committee. If the budget committee’s recommendations are different from those of the board, both recommendations will be presented to the public at the annual town meeting, held in March. Bradstreet said that one big decision before the board will be how much to spend on roads; she said that the plan is to be frugal. Rounds said she would like to see the town introduce some recreational activity that would appeal to those who are not interested in traditional organized sports such as baseball or football. Rounds suggested that an ice-skating rink might help young people occupy their time in a constructive way. “I don’t think we can afford a recreation department, but we need to come up with something,” she said. Rounds said comments from the public are welcome at the meeting, which will take place from 6 to 8 p.m. in the Besse Building. 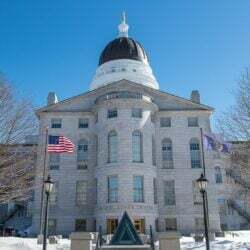 In addition to the budget, other items on the meeting agenda include tax liens, plowing, a contract for an animal shelter and animal control officer, a contract with Time Warner cable, the need for a local health officer and dues to the Maine Municipal Association. Bradstreet said the board is also seeking applicants to serve a two-year position on the school district board. SAD 49 includes Albion, Benton, Clinton and Fairfield.